BMH Books is always grateful for reader feedback. 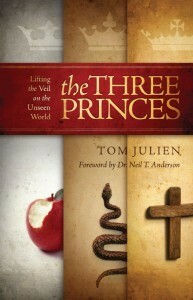 Here is a comment from a professor at Moody Bible Institute in Chicago who is reading “The Three Princes” by Tom Julien, one of BMH Books’ latest projects. “I read chapters 6,7,8, of the book last night and today. AMAZING! The author captures what I have tried to communicate concerning Jesus tasting death for every person. He captures well “He descended into hell.” I was just so blessed by the illumination of the word of God that the Holy Spirit has brought to Julien. I loved the way he described the dual nature of Christ: “in essence God” and “in expression human.” I have studied the church fathers and the way that they tried to capture the incarnation – this was the best description that I have ever seen.